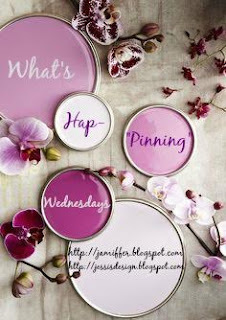 Hump day already and that means it's time for another What's Hap-"Pinning" Link up with Jenn and myself! Just grab our button and join in with whatever is on your mind! I still have Fall fashion on the brain so this almost 80 degree weather crap in November is not making it easy to dress the part.... today I basically had shorts and a tank top on outside! It was nice being able to take Miss A out yesterday evening for a stroll! Ok - so I've been drooling over statement necklaces and jeweled tops lately. They're my go-to with Pinterest lately and I love adding these pieces to my wardrobe. (I may or may not have just ordered two pretty crystal statement necklaces for my jewelry display) However, being a SAHM makes it hard to wear these as much as I'd like to... I do plan on pairing some of my jeweled neckline sweaters with leggings for the stay-at-home win! Comfy + chic = perfect! Below are some of my favorite pieces I've seen lately. What is your favorite way to be stylish + glamorous without being over the top? Can't wait to see what's hap-"pinning" in your life currently! I'm super into statement necklaces this year. I like your SAHM fashion sounds great :)! Cheers to another link up week friend! Love youuuuuuuuu! I love all the jewels! Gorgeous! I'm loving those statement necklaces. I find myself wearing more statement necklaces in the Fall and during the Holidays to dress up simple sweaters :)! LOVE all of those statement necklaces! they are fabulous! 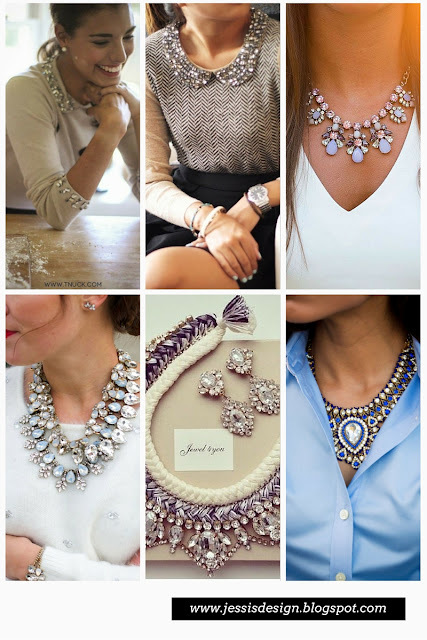 gah seriously lusting over those necklaces! love them all! i totally understand the staying at home thing..its tough for me sometimes to get out my pjs! even if i run out to starbucks, its a drive through so i still don't have to change! i really need to make more of an effort to put myself together in the mornings! oooh i love statement necklaces, and jeweled tops, especially because sometimes i can't be bothered with a necklace, so i love that the top dresses up itself! I can hardly ever say no to a statement necklace!